If I could afford it, I'd switch over to all organic products. I really think they have a better impact on your body, and the environment overall. We buy what we can organic, but there are some companies out there that are trying to make organic products more affordable. Mambo Sprouts is one of those companies. Recently, I signed up for Mambo Sprouts' back to school coupon books, which is filled with coupons for organic snacks and foods. Now, they're offering a giveaway of a reusable bag filled with natural and organic products, valued at $100.00! By blogging about it, I'm getting an entry to win the bag. Yay! So, if you're a mom of young children or you know someone who is, let them know about Mambo Sprouts coupon books and giveaway. You can order the coupon book here. You can learn how to enter the giveaway here. Not only do they send out coupon books, but they also offer printable online e-coupons for natural and organic products. As you can see there are miscellaneous office supplies and other junk everywhere. It wasn't being used to hold any craft stuff, just stuff we wanted to get out of the way. I don't know if you can tell from the picture, but the desk part drops down. So, we fold the desk part up when we're not using it and it hides everything you see pictured. Thanks, Cassandra for your inspiration. I am enjoying working in my new craft station! 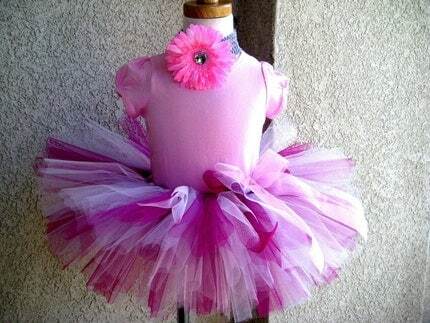 I just had to share what I ordered for Lilly to wear for her birthday party! Her party will be Saturday, April 25th at our house. I haven't decided the time, yet, but it will be in the afternoon: after her nap. The sweetest laugh you'll ever hear!! I thought you guys might enjoy hearing Lillian laughing - I know I DO! Also, you guys need to leave comments on these posts so I know you're reading them and you like them!! So I haven't written in a while; packing, Christmas, moving, trying to get settled in - I have been busy! We are liking the new house and area. It's like the best of both worlds. Not too crowded (like Wesley Chapel was getting) but not too country either. We've got almost everywhere I would want or need to shop on a regular basis right near by. And then Atlanta's only like 30 mins away! We do love our church and our youth group, and things are coming along VERY well so far. We are really pleased with how well the youth is coming along. I started working for the church this week (only 5hrs/wk). I am enjoying it and Lillian is enjoying the change of scenery during the day, too. Here's an update on Lilly: She talking A LOT saying her dada's and doda's and dodee's and all the little sounds she makes, although she is not very quiet about it! :) She is trying SUPER hard to say dog, too. And it is really starting to sound like it! :) She points at Princess and tries to say it (lol). She has been crawling for a while now, and she walks along the furniture and makes her way around the house, getting in to anything and everything she can reach! She has stood by herself several times for approximately 30 seconds, so I think walking is in the near future. Babies change sooo much in the first year; it really is amazing. Well, it really just shows how amazing GOD is! Well, that's it for now, but I do have other things I'd like to talk about - so, hopefully I can get around to blogging about them. For instance, I've been doing really well cooking at home (mainly bc we haven't had the money to dine out! lol), and I'd like to share a little about it. Have you heard of this site yet? "Swagbucks are the web's premier digital dollar" as it says on their homepage. Basically, you 'win' swagbucks for using their search engine, and you can redeem the bucks for cool stuff. I just got a $5 Starbucks giftcard in the mail from redeeming Swagbucks that I won. Want to sign up? Go here and you'll be added as one of my friends - And when you earn bucks, I do too. I have to admit it was pretty cool to get Starbucks for just doing my regular surfing on the web! :) I'm so glad I found this site. Don't forget to check Walmart, too, for their free samples available.